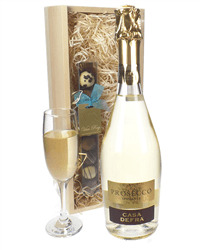 This is a Rose Prosecco and is superb, not only does it look fantastic but it tastes amazing too! 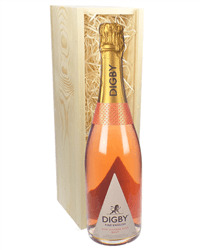 With a fresh fruit character,it has notes of strawberry, cream and vanilla and presented in a pink wrapped bottle makes it a fantastic gift for any occasion. 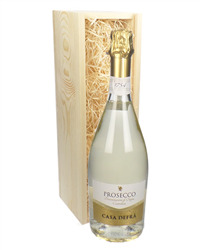 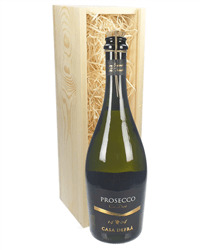 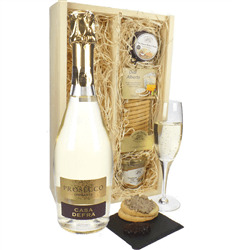 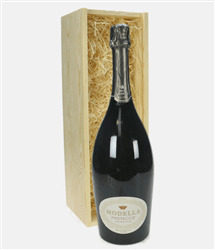 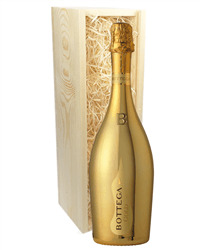 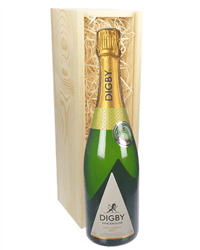 The wine is placed in one of our wooden gift boxes and delivered when you need it.